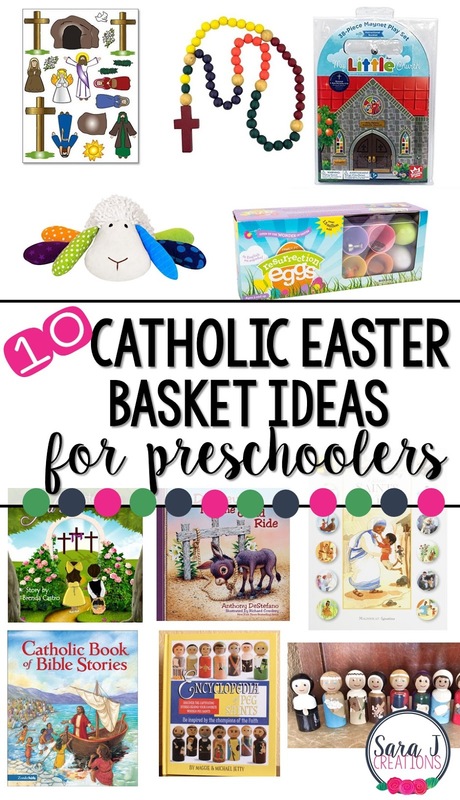 With Easter fast approaching, I'm constantly searching for Catholic Easter Basket ideas for preschoolers. I don't mind some candy or chalk and bubbles or a few bunny things here and there, but I always want the focus for my girls to be Jesus. Easter is about Jesus and not an Easter Bunny. I just bought my girls shirts that say "No Bunny Loves You Like Jesus" from Heart of Gold Apparel. (Unfortunately, they have since gone out of business, but maybe someone else is creating something similar.) I rounded up 10 gift ideas that you could add to your preschooler's Easter basket this year. Many are available from Amazon Prime so there is still time to get them by Easter. 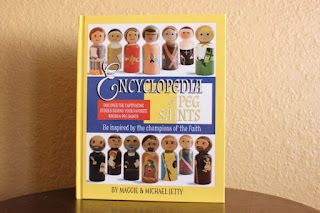 I'm in love with these Saint Peg Dolls from Saintly Heart on Etsy. 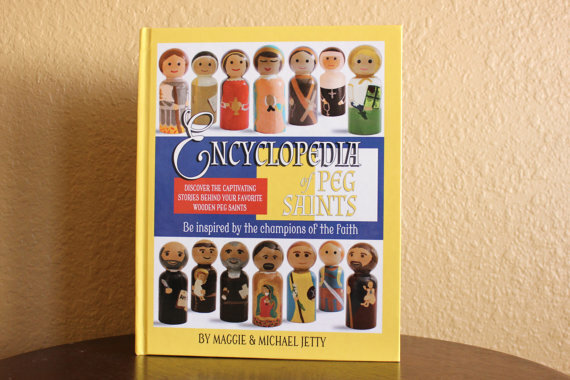 They also have an Encyclopedia of Peg Saints that covers 36 saints. This would be awesome to have and then add a few peg Saints to the Easter basket. My girls LOVE playing with any sort of figurine so this would be an awesome way to learn about the saints in a kid friendly way. I placed an order for a doll for each of my girls' baskets and plan to add more each year. While not related specifically to Easter, this is a fun activity for an Easter basket because it is small and portable. There are lots of little magnets so this would be good for preschoolers and older. This is a great way for children to identify the objects that they see at Mass and start a family discussion of what those items are called and what they are used for. This magnet set would be a fun way to retell the Easter story. Put these on the refrigerator or a magnetic cookie sheet and your little ones can tell the story of Easter over and over with the help of the magnets included. This is a gift that my daughter got as a baby or toddler but is definitely more appropriate for her now as we try to pray parts of the rosary together. The big wooden beads make it easy for little hands to hold. I also like that each decade is a different color to teach little ones that those beads go together. Written by a librarian at a Catholic school, this is a fun religious Easter book. Two kids go out after church for an egg hunt expecting candy, but instead learn about Gifts from God. This book teaches about the events of Lent and Easter and helps children to understand the true meaning of Easter. This is a great introduction to 30 saints. For each saint there is a kid friendly short biography and prayers to the saint. It is always nice to have a kid friendly version to start introducing children to our friends, the saints. My daughter got this for Easter when she was one or two. It was a great stuffed animal but it has become more of a learning tool as she has gotten older. When you push a button, the lamb recites Our Father, Hail Mary, and Glory Be. Such a cute way for little ones to start learning prayers of our faith. 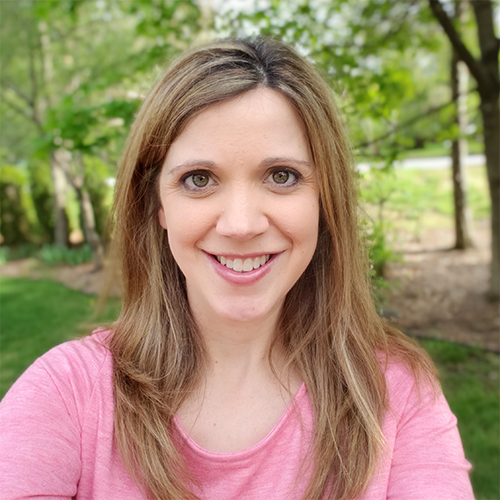 It is often hard to find a Catholic Bible for kids and when you are looking for ones appropriate for preschoolers, you really need to find something that is short and concise, yet engaging. This book includes 50 Bible stories, Catholic prayers, and Faith to Grow for each story that ties it into the Catholic faith. Last year, we did a quick handmade printable version of resurrection eggs. My oldest got really good at looking at the symbol and retelling the events of the Easter Story. I like this version because instead of paper, it has sturdy items that can be reused year after year. I am debating trying this out on Good Friday or Saturday or maybe even holding off and doing it as our Easter egg hunt on Sunday morning. This is one of our favorite books to read to our first graders in religious education every year. It is the story of a sad little donkey who turns out to have the most important job of carrying Jesus into Jerusalem on Palm Sunday. A book written for kids but a great way to talk about Palm Sunday, Holy Week and the Easter Story.